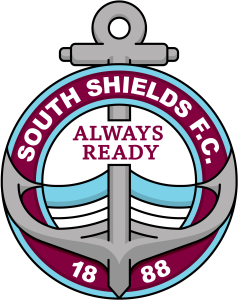 Defender Lewis Galpin paid tribute to South Shields physio Andrew Morris after making his comeback from a broken leg in the 5-1 win over Willington at Mariners Park. Galpin had not played since suffering the injury in November, but was introduced as a second half substitute in what was Shields’ final home game of the season. In the video above, he discusses how he felt, and how pleased he was to return before the summer. He also talks about the work put in with Morris, and how much he has helped him during his months on the sidelines. VIDEO: Daniel Prince. STILL IMAGE: Peter Talbot.